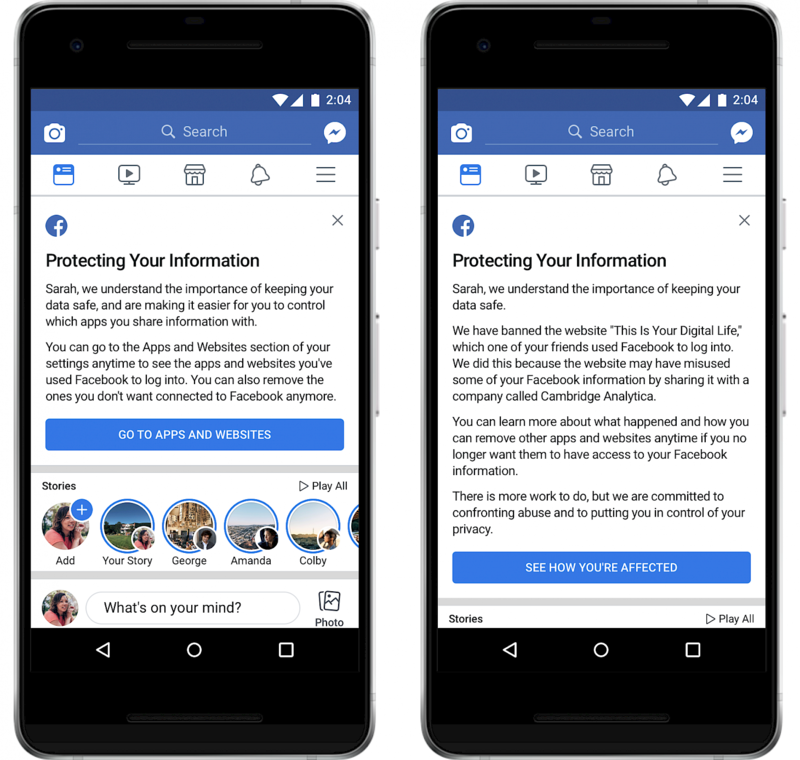 Starting today, Facebook users will start seeing a notification in their newsfeed, as well as the ability to change privacy settings, according to Facebook, after they announced that "information of up to 87 million people — mostly in the US — may have been improperly shared with Cambridge Analytica." Starting on Monday, April 9, we’ll show people a link at the top of their News Feed so they can see what apps they use — and the information they have shared with those apps. People will also be able to remove apps that they no longer want. 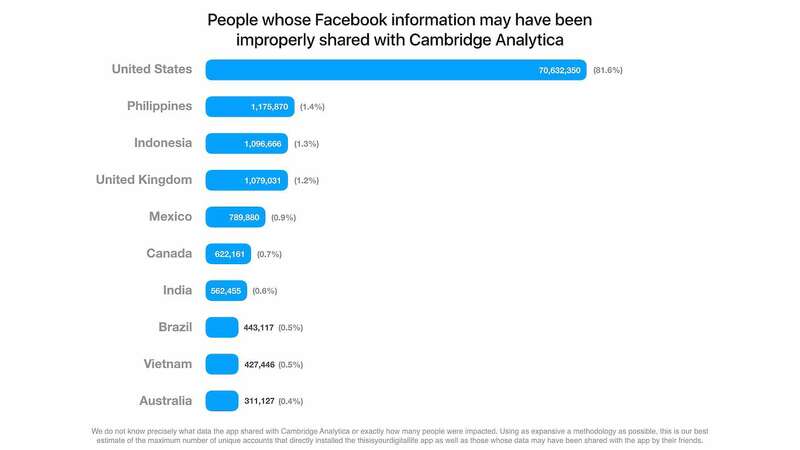 As part of this process we will also tell people if their information may have been improperly shared with Cambridge Analytica. Overall, we believe these changes will better protect people’s information while still enabling developers to create useful experiences. We know we have more work to do — and we’ll keep you updated as we make more changes.